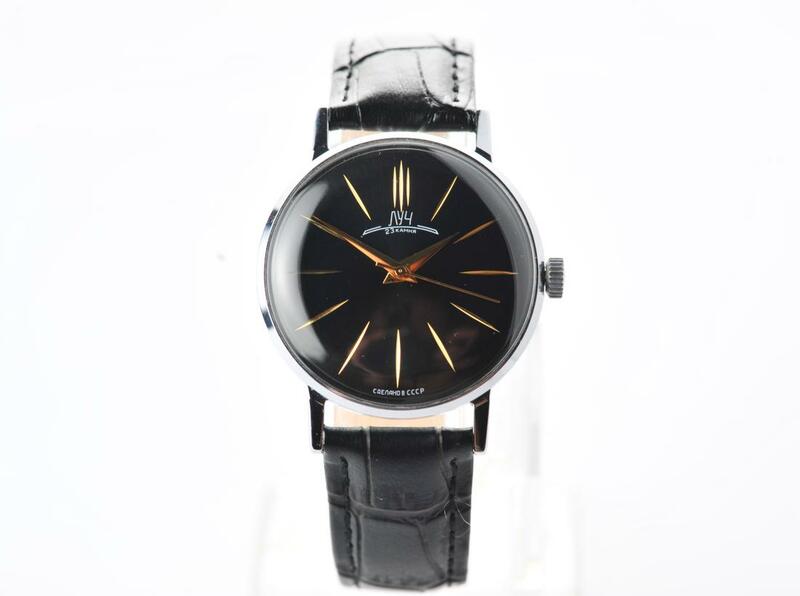 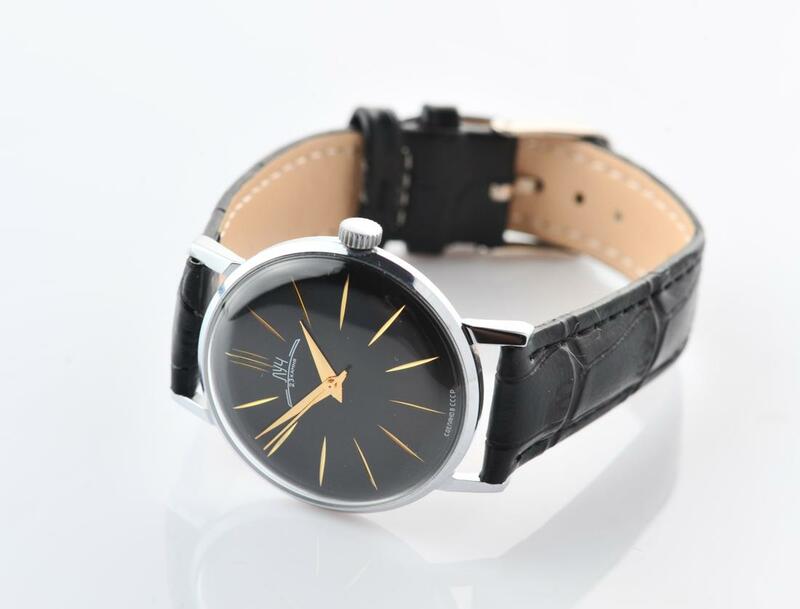 Home / Wrist watches / Excellent condition ultra thin LUCH watch – Intelligentsia’s dream! 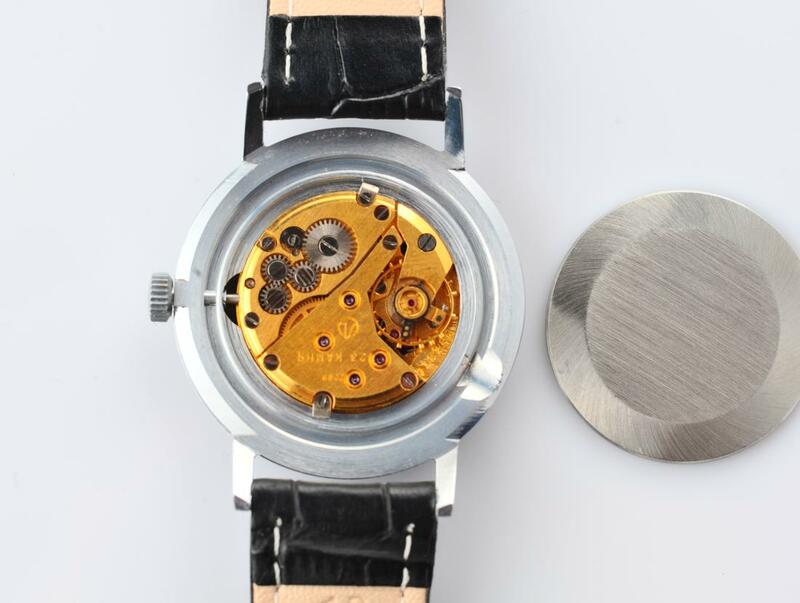 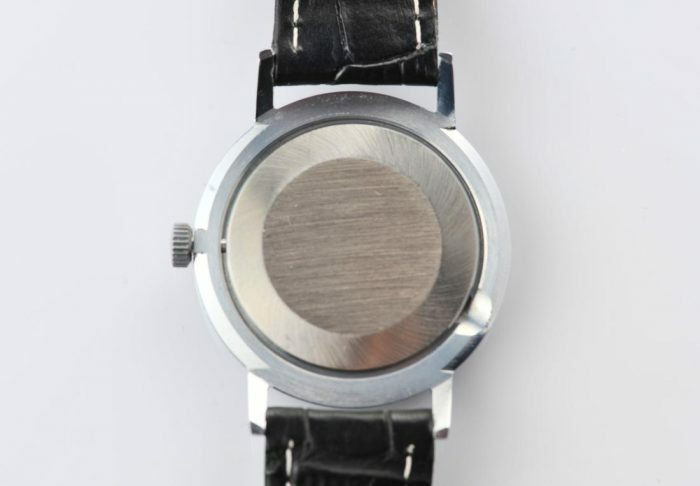 Excellent condition ultra thin LUCH watch – Intelligentsia’s dream! 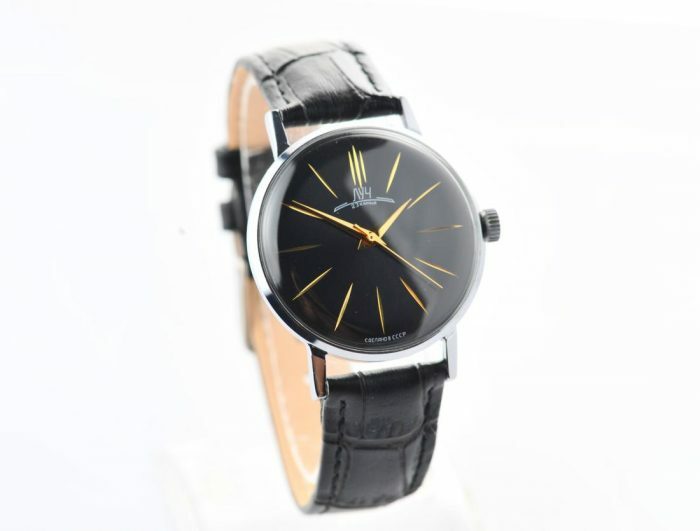 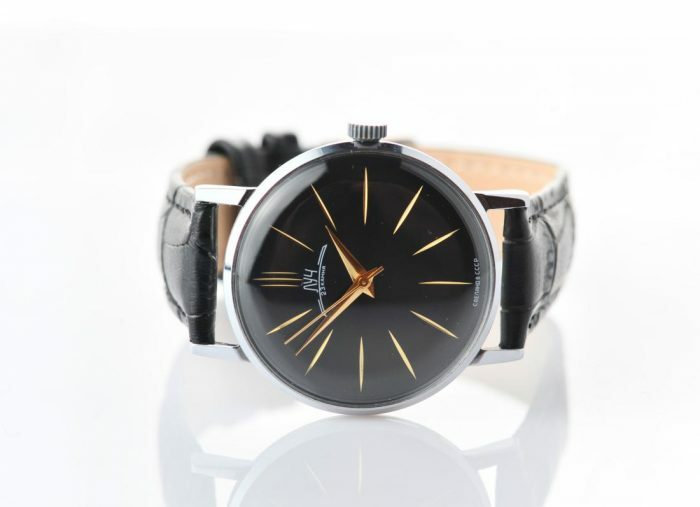 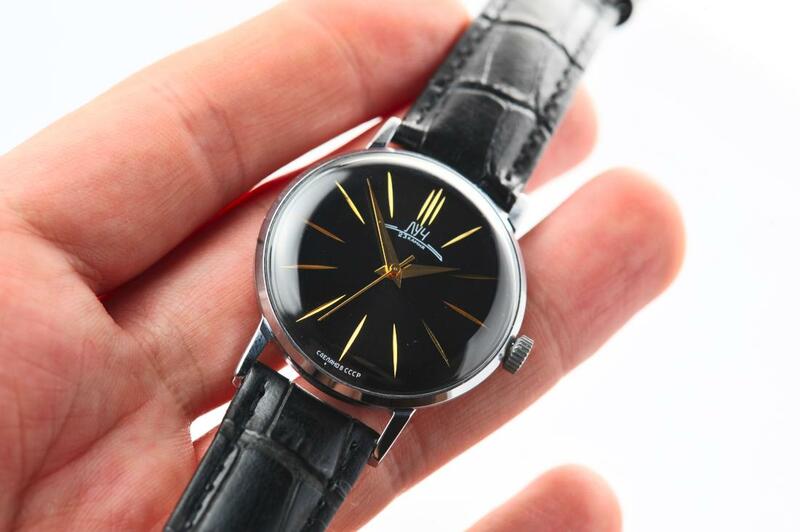 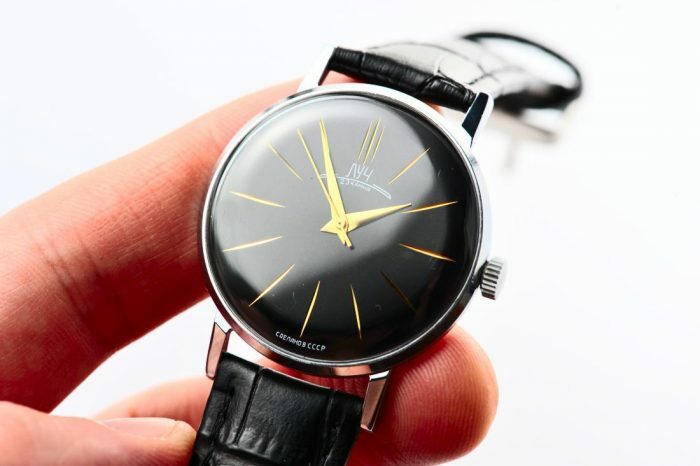 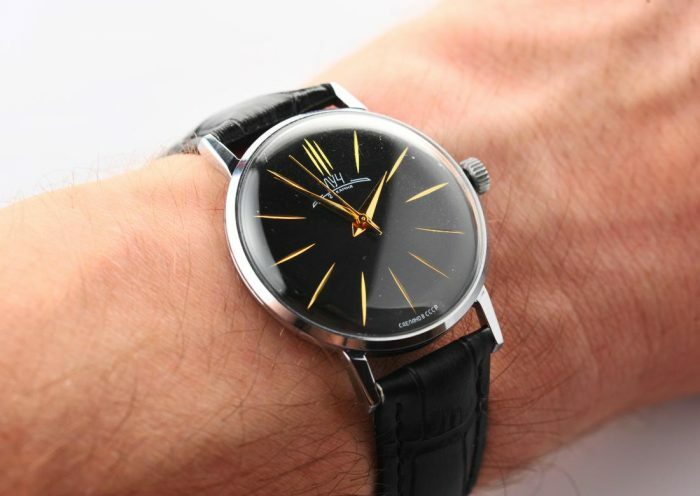 This is a classic, super thin wristwatch “RAY” (LUCH). Lovely Vintage watch made by “LUCH” factory, USSR. Original soviet LUCH watch has mechanical lever movement and manual winding. 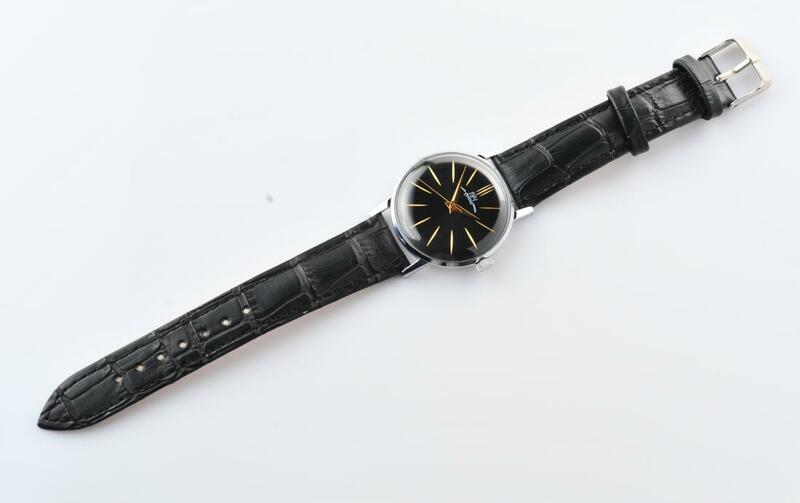 Comes complete with NAGATA black leather strap. 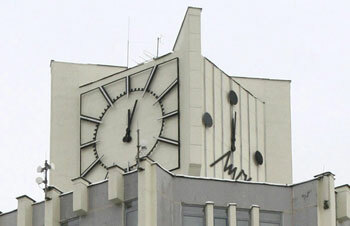 In 1953 USSR’s central government made a decision to build a women’s watches factory in Minsk. 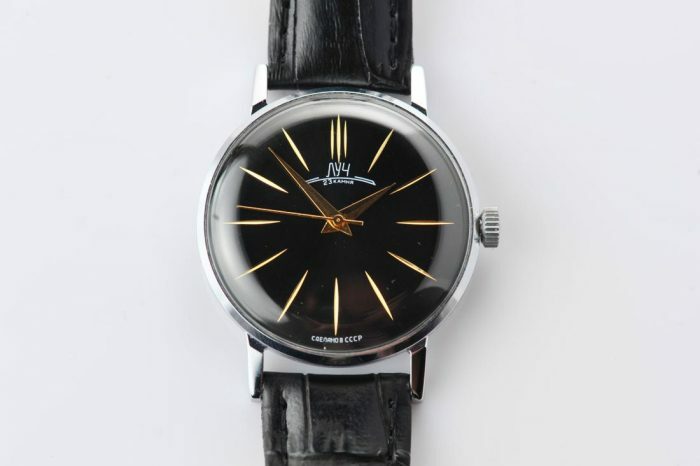 In 1955 first batch of women watch “ZARYA” was produced and proven to be very popular. 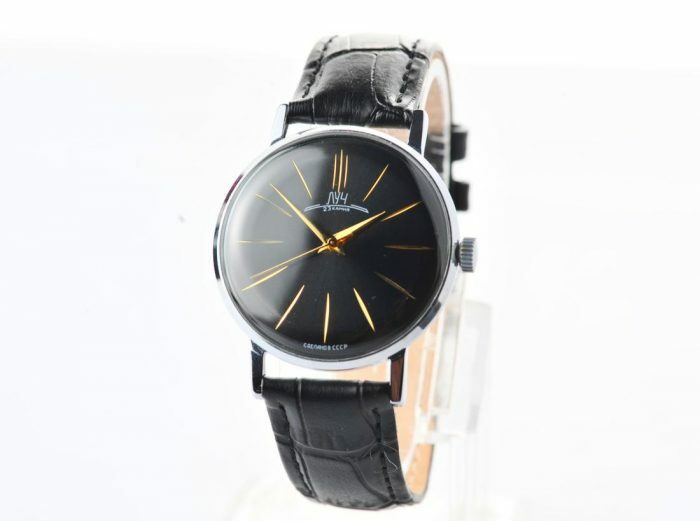 The factory was also making the watches for soviet Zhiguli «Жигули» car.